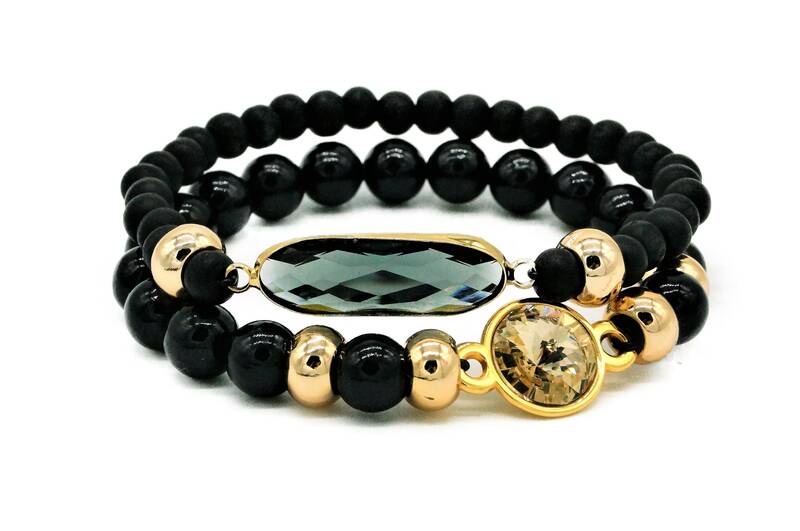 Elastic bead bracelet made of black 8 mm agate beads and gold metal beads. The highlight is the round connector with a large round conical Swarowski crystal in gold. 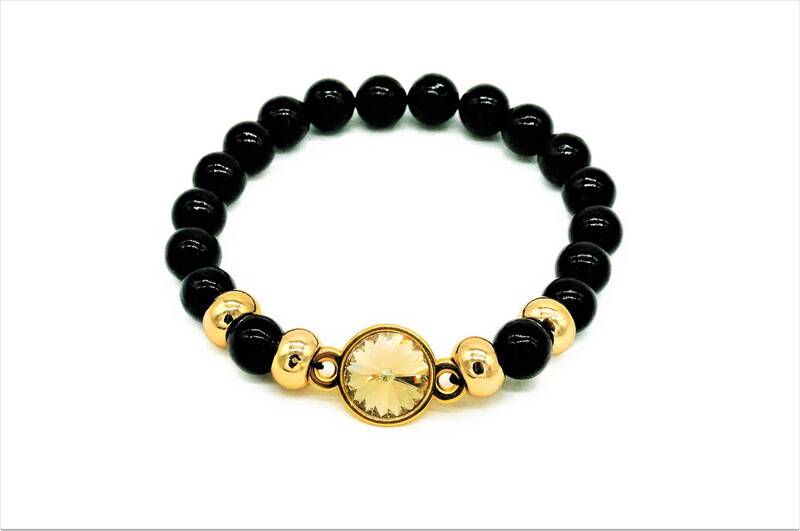 The 19 cm long bracelet is elastic and is shipped as a gift wrapped in a organza bag. 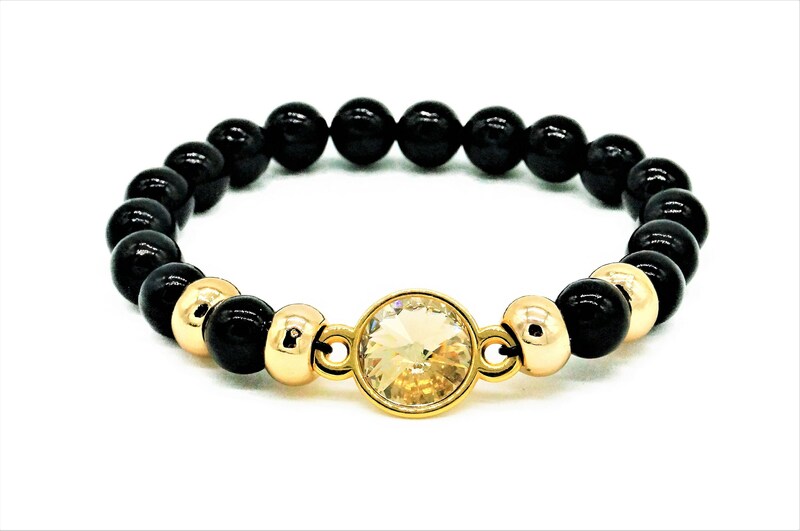 Mix & match with our other bracelets-See sample photo!